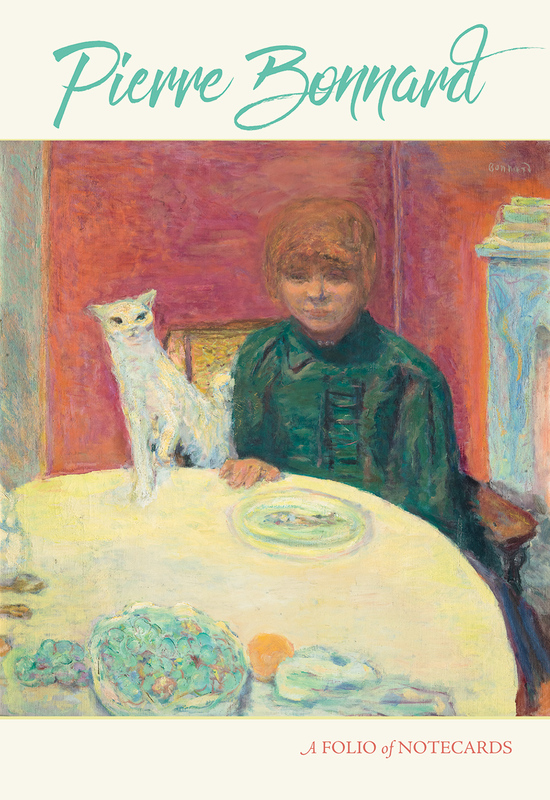 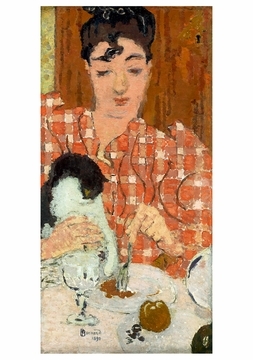 Pierre Bonnard painted what he found enjoyable—the comforts of the middle class, the intimacy of the kitchen, pets, children, pretty women, flowering fruit trees, bountiful tables, luxuriant gardens—and his art evokes pure happiness with its vibrant colors. 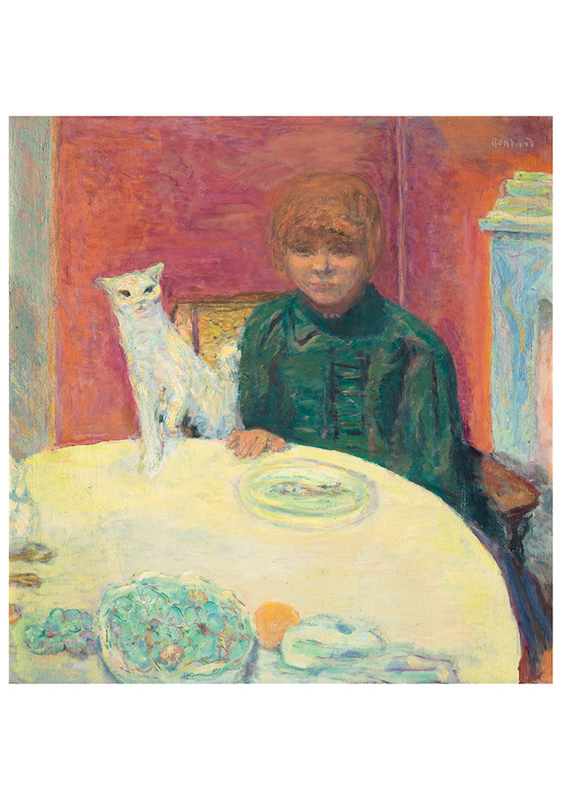 There is formal pressure in Bonnard’s paintings as well: of shape against shape, of light against dark; the edges of his canvases compress and give life to their surfaces. Bonnard (French, 1867–1947) once said, “The best things in museums are the windows,” and his images are often framed as if seen through a window—an effect that is emphasized by their explosive light and color, as if the summer sun is in the painted landscape and we see it from a cool, shadowed room.